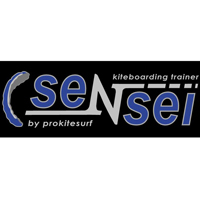 A Sensei Trainer Wrist Leash is the easiest way to avoid damaging a trainer while keeping it securely attached to your wrist. High-strength webbing and bungee are attached to 1200 lbs.-test end-loops, and are secured around the user's wrist by a 2" velcro cuff. In the second before an imminent crash, letting go of the bar will instantly shut down power to the kite. 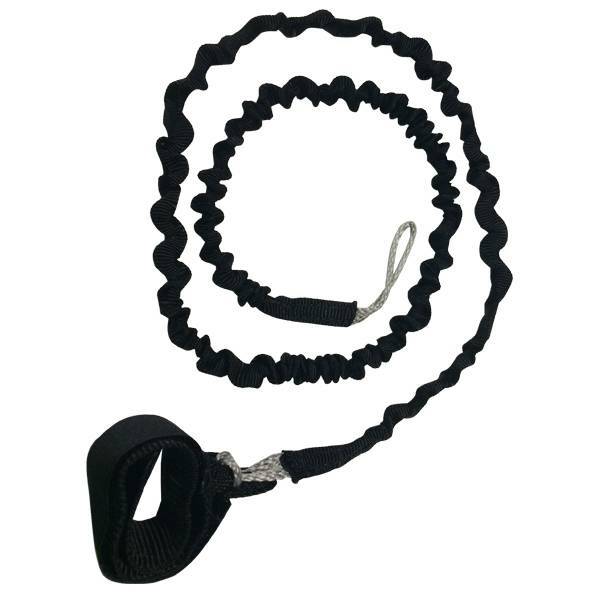 A leash keeps the bar close at hand for easy retrieval and the kite from blowing away. However, it's velcro wrist cuff allows you to easily get out of all contact with the leash in extreme circumstances. Purchased this when I purchased my trainer. This leash was a life saver. No chasing the kite down. Also comfortable to wear. Great leash for any trainer kite, got mine for the Naish Xeon. Don't have to worry about the kite dragging the kids.